Kettlebells are fast becoming one of the most popular workout tools, as they’re accessible and usable for everyone. True to their name, looking like a cross between an old-fashioned kettle and a bell, these handled weights can revolutionize your workout. The trainer who introduced kettlebells to the U.S. believed that a kettlebell can do everything a dumbbell can, only better. So how can kettlebells boost your workout and train your body even more effectively? Here are 5 kettlebell training benefits. Because kettlebells have their center of mass away from the handle, they’re perfect for swinging exercises. This allows kettlebells to be used as a weight or resistance in dynamic and functional training, where the whole body is in motion. Functional training is popular for its combination of strength, cardiovascular endurance, and other fitness factors like balance and coordination. This multi-faceted training produces greater benefits for total body function and mobility. Kettlebell training offers countless numbers of exercises and diversity of movement, all with one training tool. 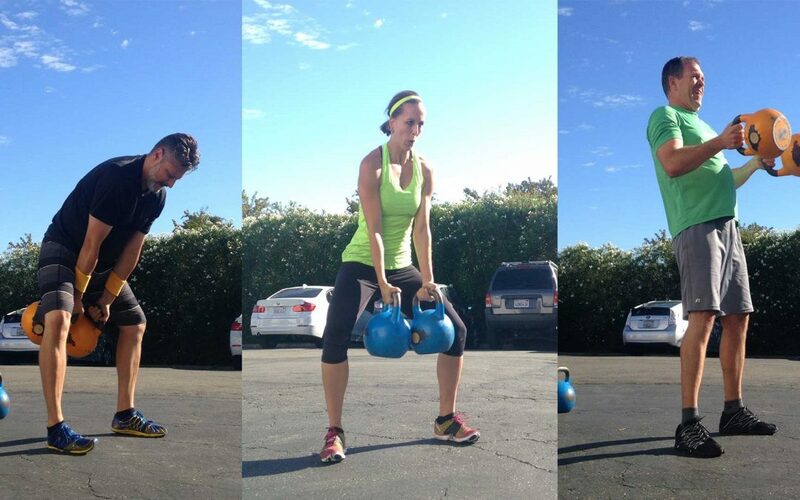 Because kettlebells are compact and easy to lift and carry, they can be used for a wide range of exercises. They can also be used with a number of other training systems, such as CrossFit, HIIT, and Tabata, to amp up your workout. While kettlebell swinging looks like an arm exercise, in reality, the strength and power come from the core muscles. Incorporating rotation and single-handed swinging, kettlebell training can target core muscles in the front, side, and back, offering balanced and well-rounded training. With dynamic movements, kettlebell training benefits and works the abdominal muscles in the same way they are used in everyday life. This means that you develop true inner core strength, as well as a toned, trim stomach. With a combination of challenging weight and dynamic movement, kettlebell training offers both cardiovascular and strength training all in one. This kind of challenge provides a unique workout that can really push the body to higher limits. A study from the American Council of Exercise reports that you can even burn as much as 20 calories a minute with kettlebell training, depending on how hard you work. Kettlebell training is a powerful workout with outstanding results that can also be adapted to a lower resistance for achievable yet complete training. Best of all, a kettlebell workout can be great fun with diverse, dynamic movements and great variety. Working with a personal trainer, you can shape a kettlebell workout around your personal goals and needs to get the results you want while enjoying your workout. As with any exercise, proper technique is critical, and this is especially important for kettlebell training. An initial session with a personal trainer or a CrossFit expert can help you learn the right technique to safely swing and lift the kettlebell. If you’re interested in learning more about how kettlebell training benefits can impact you personally, contact a trainer today for individualized instruction.